The first book to analyse every Queen song - giving equal weight to album tracks alongside the hits . * Includes analysis of about 20 classic songs using the original 24 track master tapes. * Queen remain ever popular and active, and continue to tour despite the death of Freddie Mercury in 1991. 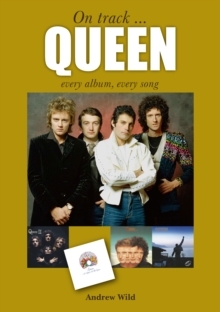 This book examines Queen's music, album by album, track by track, in detail. Where possible, recourse to the original multi-track master tapes has provided extra insight. Those familiar hits are revisited, but those classic album cuts - like `Liar', `March of the Black Queen', `Death on Two Legs', and `Dragon Attack', `are given equal precedence. The book also examines the changes that these same four musicians went through - from heavy and pomp rock to pop as the chart hits began to flow - with a keen and unbiased eye. Whether as a fan your preference is for the albums `A Night at the Opera', `Jazz' or `Innuendo' this detailed and definitive guide will tell you all you need to know. Queen had strength in depth. These are the songs on which a legend was built.